Drop Ship Sites: Middlemen Schmiddlemen What's The Big Deal? Unfortunately in the world of drop shipping there are those who act as drop shippers but offer nothing of value. I am referring to middlemen. These businesses pretend to be drop shippers but in reality when you order from them they simply pass the order on to the true drop shipper. This is a very profitable business for the middleman, but the decrease in your profit margin can keep your business from ever truly getting off the ground. It can be difficult to determine whether the company that you are considering doing business with is a true dropshipper or not. Here are a few tips to help separate the wheat from the chaff. Do their prices compare with the competition? Prices that are substantially above the competition can indicate the presence of a middleman. Do they charge a membership fee? Although there are times when legitimate companies charge a membership fee, typically a top-level drop shipper will not. Why would a company who makes their profit from you selling their goods charge you to do so. Is a physical address listed? A legitimate company has no need to hide the physical location of their business. You may even want to take this a step further by requesting images of their warehouse or storefront. Although the photos could be faked, the effort required to do so may deter many companies not in it for the long-haul. You should also verify that the address exists by using a map service such as Google Maps. Do they have a primary domain? Be wary of companies that are located on a sub-domain. For example, http://www.dropshipsites.com would be considered a primary domain while http://products.dropshipsites.com would be considered a sub-domain. The presence of a sub-domain is not a bad thing, just make sure that the primary domain is related to the sub-domain. Is a return policy and shipping information posted? Policies and information should be freely available. You may also want to copy a portion of the policy and paste it into a search engine to see if it is simply copied from another site. This may even turn up the source of their products. Does the website have a professional appearance? While many unattractive sites offer great value, a poorly designed website may be an indicator about how the rest of their business operates. The answer to any one of these questions alone may not determine if a company is simply acting as a middleman, the questions as a whole should help you determine if this is a company worth investigating further. 2 Responses to "Middlemen Schmiddlemen What's The Big Deal?" 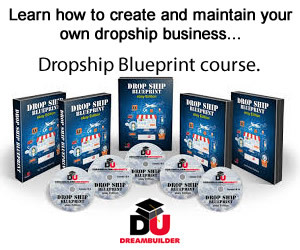 Selling products via drop ship is a self run business. As such, you do not receive a commission. All sales you make are your own. You do not purchase products before they are sold, but rather once you make a sale you collect the payment and then purchase the product on your customer’s behalf. The difference between what you pay for the product and what you customer pays you is your profit. Good luck in your drop shipping endeavors.